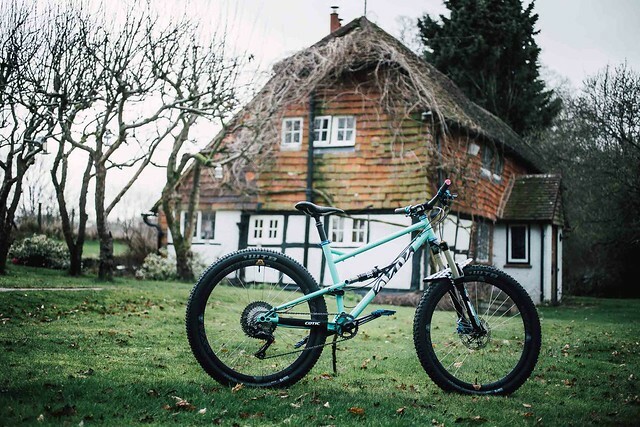 Now we have our expanded range of bikes, it seemed that the obvious next step for our Go Custom programme of bike spec options would be to offer something for our female riders straight out of the box. 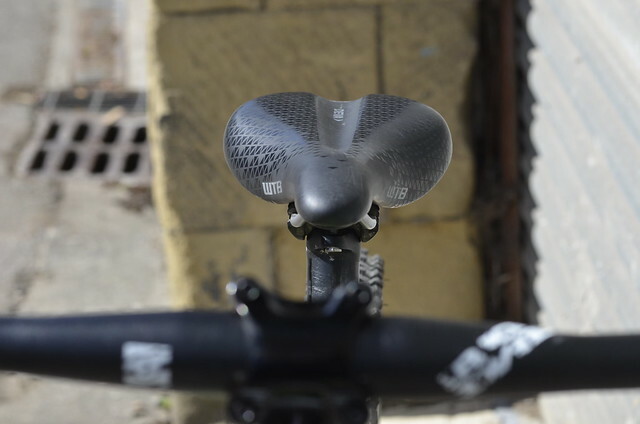 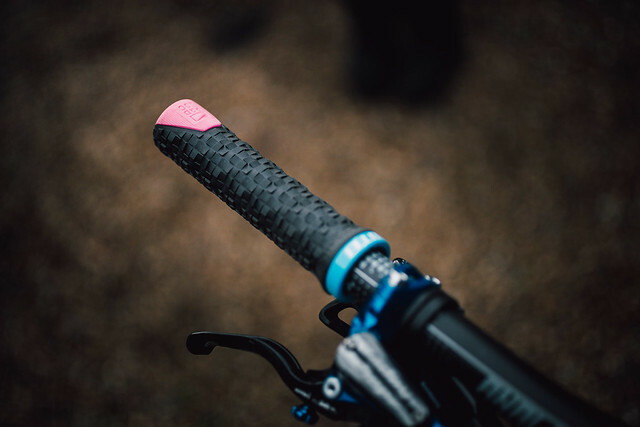 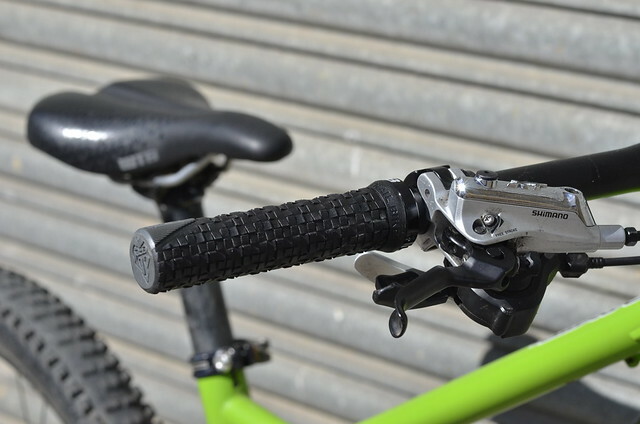 We already put great emphasis on the importance of bike fit, with our no cost stem length and bar width/rise options so we can help you tailor your bike fit when you get your Cotic. 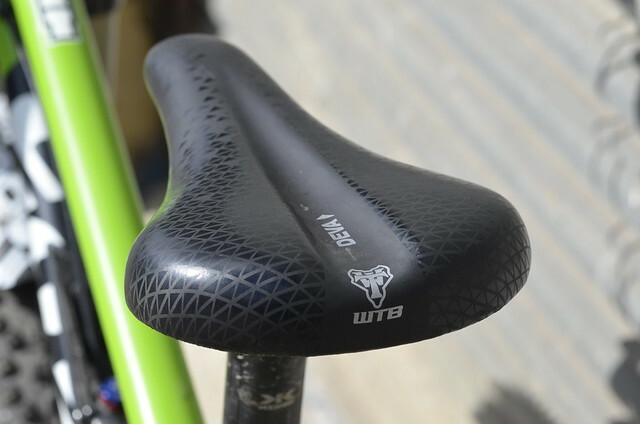 With the relaunch of the Deva saddle from our friends at WTB, it seemed the perfect time to put together something great for female riders to choose when getting a bike. 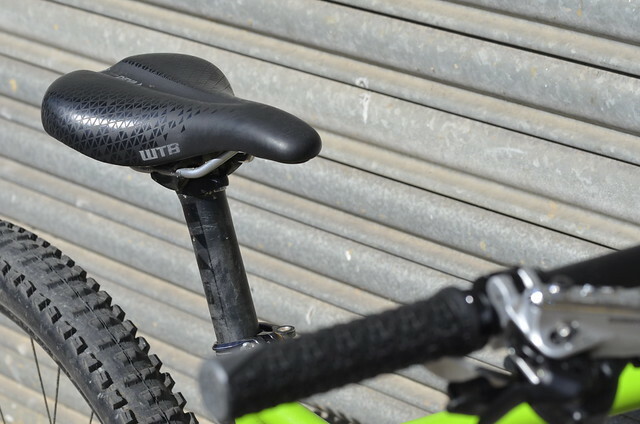 Our latest addition to the team, Hannah, and our Brand Ambassador Adele have been trying out WTB women's options for a while and have given them the thumbs up, so we are now stocking WTB Deva saddles and WTB Pad Loc Thinline 28mm diameter (smaller than our Cotic option) grips as a no cost Women's Pack option on all our bike builds. 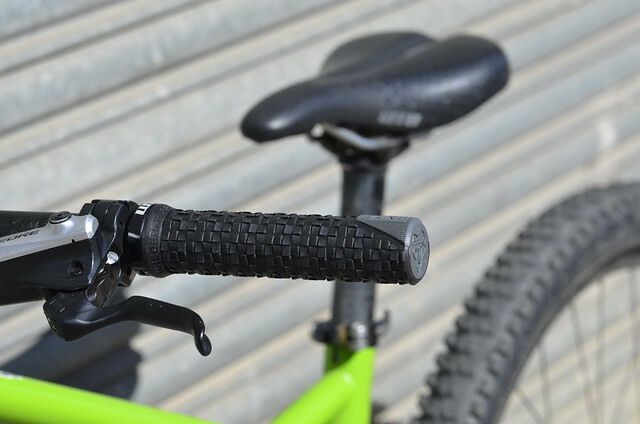 Here are some photos of Hannah's Flare (it's the pre-production prototype, hence the green paint!) 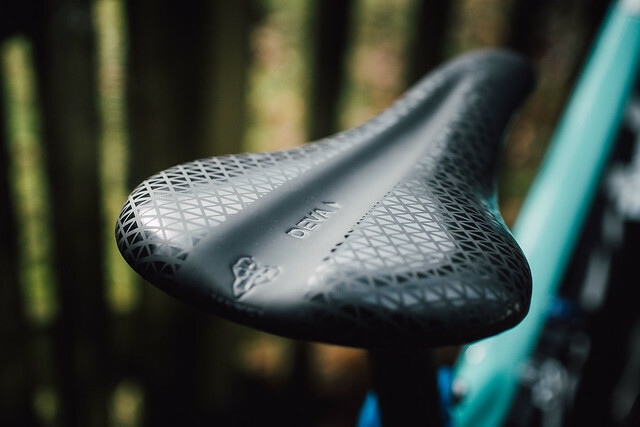 with the Women's Pack fitted, and Adele Mitchell's aqua Flare.